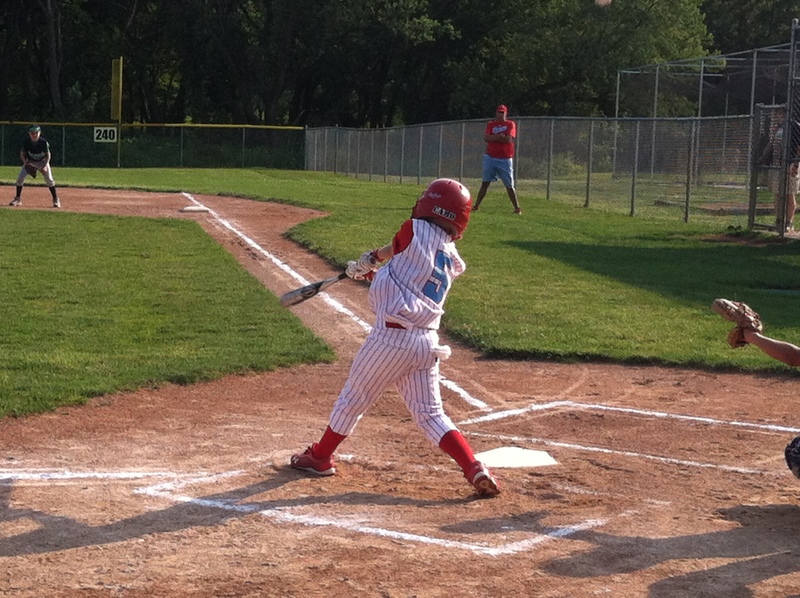 This is a picture of my step-son hitting a double in last night’s baseball game. Mike and I were so proud of him. You see, he’s been in a slump for the last month, sometimes hanging his head at the smallest mistake. We didn’t know what to do or tell him that would make him feel better. We tried encouraging him. We tried reasoning with him that even the pros make mistakes. Nothing we did worked. Every time he got up to bat, we could just tell he expected to ground out to the pitcher. Then he was asked to play on a tournament team. They were traveling from Texas to play here in Omaha at their Champions tournament. The first time he hit, it was a shot right down the first base line which allowed him to score later. The coach gave him a high five and told him he was awesome. And it worked. For the last three days he has had a completely different attitude. My husband and I learned that sometimes it just takes someone new to ignite a spark. My step-son knows we love him and think he’s a great kid, but having a complete stranger recognize his qualities allowed him to realize that those qualities really did exist.